FEATURE – When visitors from Southern Utah cross into Nevada on state Route 21 (which turns into Nevada Highway 487) and see a sign that tells them they’ll reach Great Basin National Park in 11 miles, they might ask themselves why the mountainous area they see on the horizon received its lofty designation. From that distance, it just doesn’t seem that special. That’s because the magic of this remote park – its “most high profile activities” according to its Chief of Interpretation Nichole Andler – are found underneath it, near the top of it and in the dark. They are Lehman Caves, Wheeler Peak and unparalleled night skies. 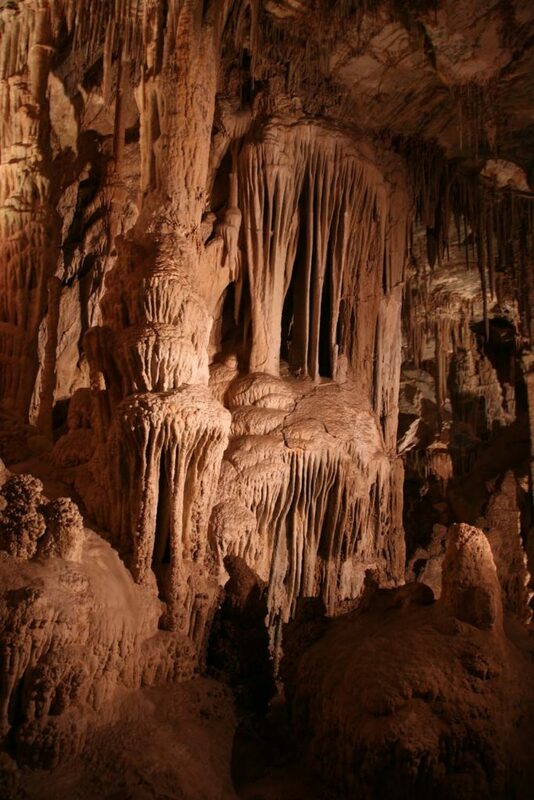 Tours of Lehman Caves, which originate only steps from the visitor center that bears the same name, provide otherworldly experiences viewing stalactites (which cling tightly to the cave’s ceiling), stalagmites (which rise up from the cave floor) and columns (fusions of stalactites and stalagmites). It also includes helictites (blocks in the flow of water in stalactites that shoot off in other directions, some defying gravity). 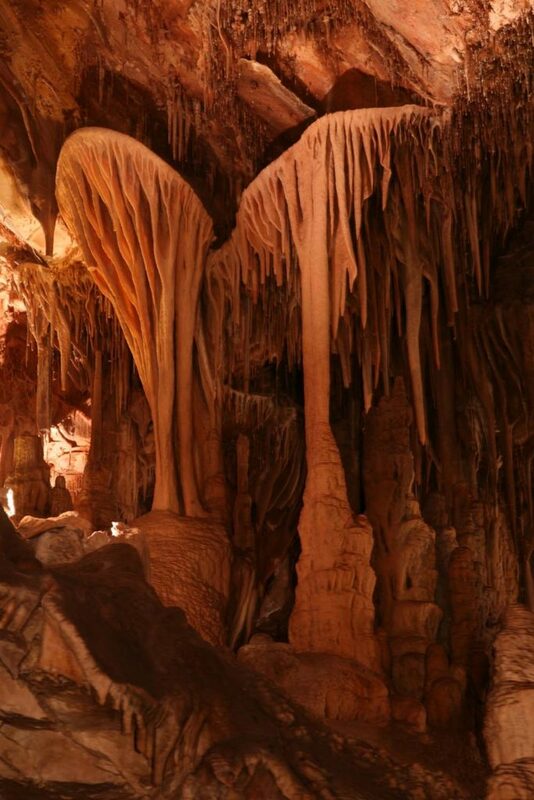 Cavegoers also are treated to “menu items” such as cave bacon and popcorn as well as over 300 rare shield formations, which are flat, angled rocks with stalactites emanating below them. 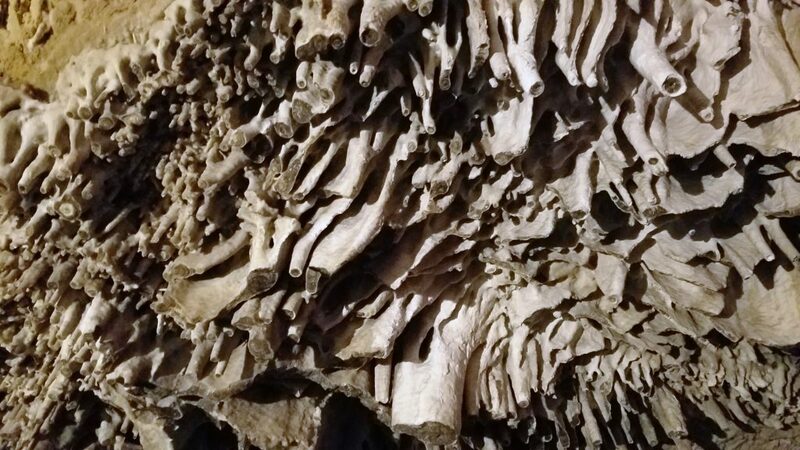 While in the cave, visitors can take flash pictures, but they can’t touch anything as the oils in human skin can stop the growth of the caves’ formations. It’s easy to spot where the cave has been despoiled before it was preserved as a national monument in 1922. Absalom Lehman, who discovered the cave in 1885, realized it could be a profitable venture and charged $1 to anyone who wanted to explore it. He allowed the cave explorers of his day to take anything they wanted from the cave as a souvenir. 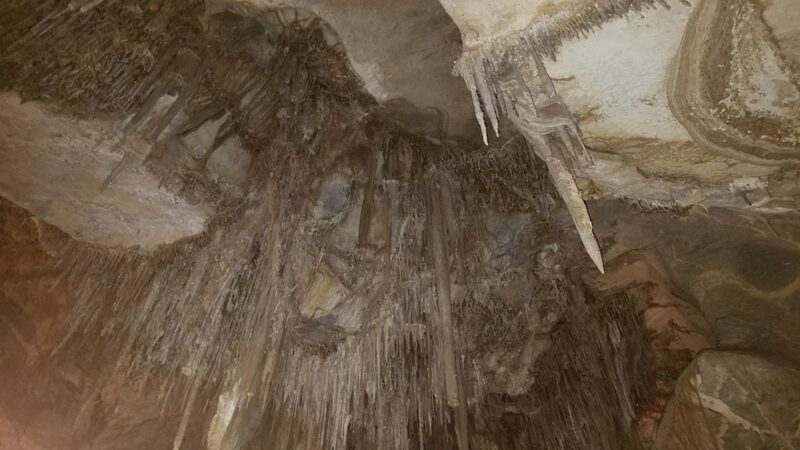 It is also easy to spot stalactites broken off in many places in the cave. 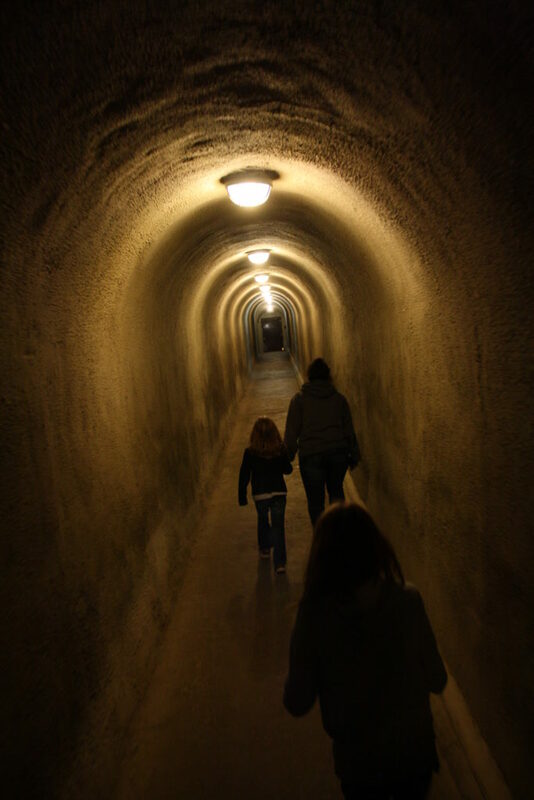 Today’s visitors do not exit or enter the cave through its natural entrance but by two manmade tunnels. While passing by the natural entrance, tour guides ask tourgoers to be silent in order to not disturb the caves’ sleeping bat population, which has dropped dramatically as of late because of White Nose Syndrome, a disease for which every visitor is screened by park rangers before entering the cave. Two cave tours are available – the Lodge Tour, recommended if accompanied by children under 5, and the Grand Palace Tour, recommended for children 5 and over. The Lodge Tour is 60 minutes and covers less ground than the 90-minute Grand Palace Tour. 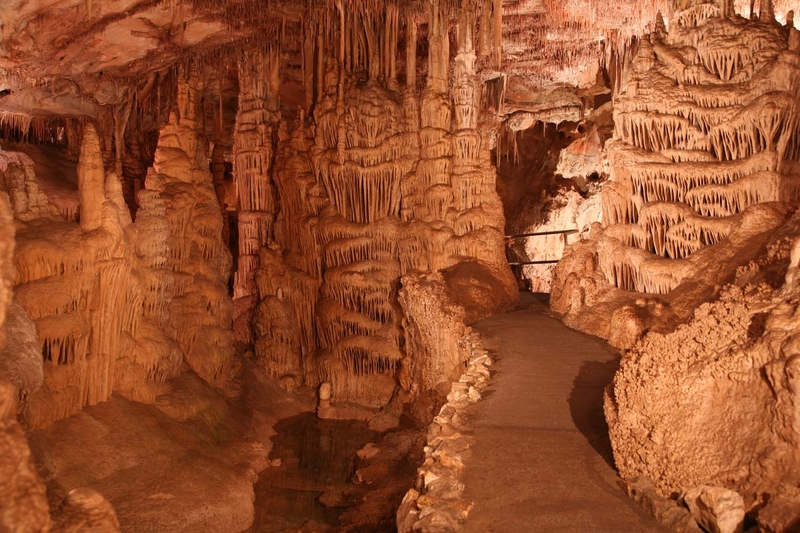 Tickets for cave tours can be reserved and purchased through recreation.gov. The Scenic Drive, which originates from Nevada Highway 488 just before the Lehman Caves Visitor Center, climbs over 4,000 feet in elevation and provides sweeping views of the Great Basin Desert below as well as a vast array of vegetation, from sagebrush, Rocky Mountain Juniper and Pinyon Pine at the lower climes to groves of White Fir, Douglas Fir, Ponderosa Pine and Quaking Aspen up higher. 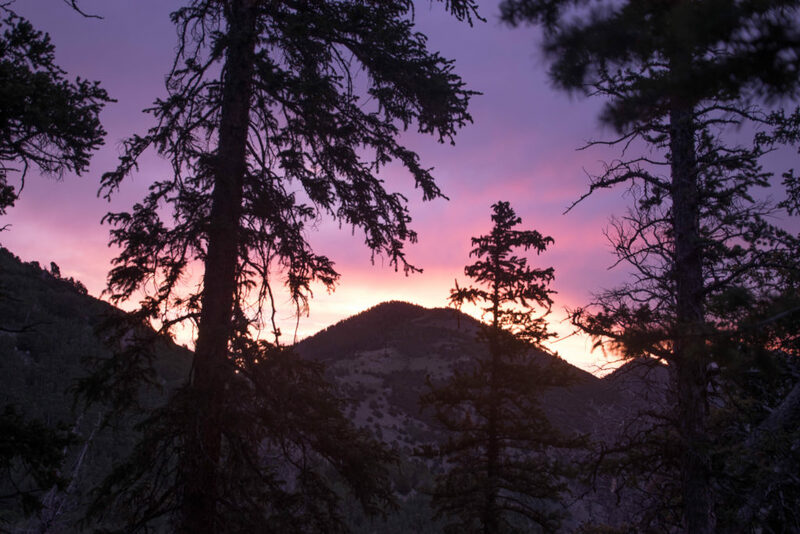 Turnouts such as Mather Viewpoint on the way up offer breathtaking vistas of the park’s 13,159-foot sentinel, Wheeler Peak, and the forests surrounding it. It’s the park’s higher climes that are its hiking mecca. 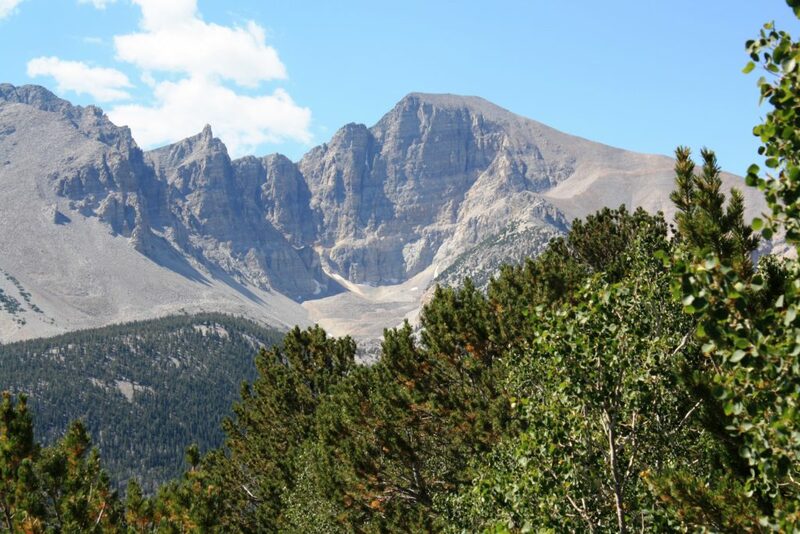 Besides Wheeler Peak, the two main attractions near the top, as Andler describes, are a grove of Bristlecone Pines and the glacier located at the base of the peak at approximately 11,500 feet. Near the glacier, hikers can play in the snow even in the summer. Last spring, Great Basin was designated an International Dark Sky Park for its distinguished and unique opportunities to experience dark nights. At the Aug. 27 astronomy program held in the Lehman Caves Visitor Center parking lot at dusk, visitors were able to see Saturn, M13 (a cluster of stars) and the Andromeda Galaxy through one of the park’s telescopes. “Dark” Ranger Annie Gilliland, the presenter at the program, pointed to celestial bodies such as Polaris, the Summer Triangle and Cassiopeia, with a special laser made for astronomy education. The faint white aura of the Milky Way formed a stripe across the sky and seemingly numberless stars filled its vast expanse. 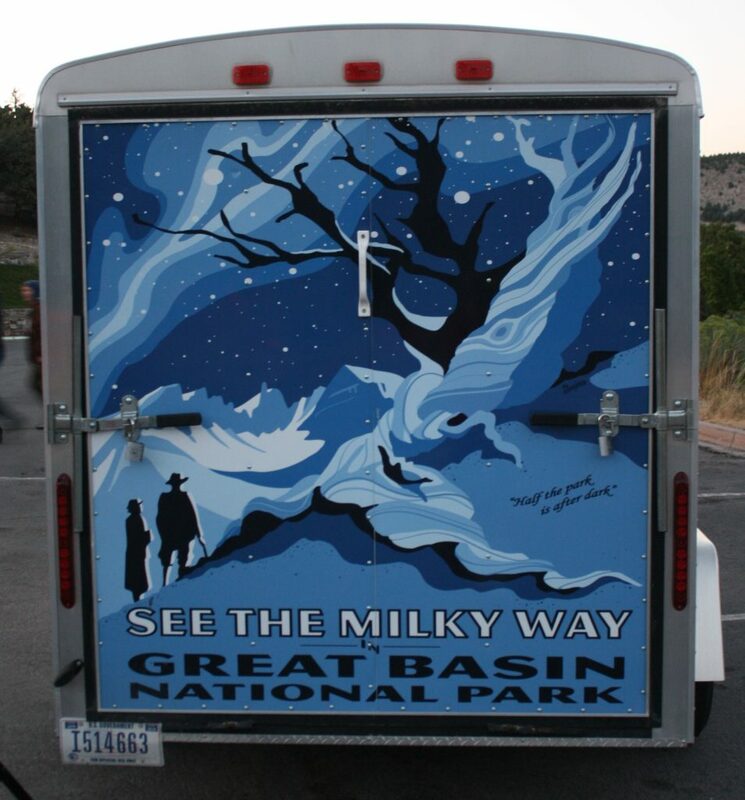 Great Basin started its astronomy program seven years ago and has given it a special focus ever since. “It has grown quickly to become one of the things people seek out when they come here,” Gilliland said of the park’s astronomy programs. During her presentation, Gilleland said she feels it’s a shame that approximately 80 percent of North Americans cannot see the Milky Way, according to a recent study. To her, being able to see a plethora of astronomical bodies is extremely important. In addition to its regular astronomy programs, Great Basin will host its 7th annual Astronomy Festival Sept. 29-Oct. 1, which Gilleland says gets bigger every year. The festival will also include a variety of activities fun for the whole family, including the opportunity for children to earn a “Deep Space Certificate” and make a glow-in-the-sun solar bracelet. Approximately 30 telescopes will be on hand, some of which can be used during the day to take a closer look at the sun. 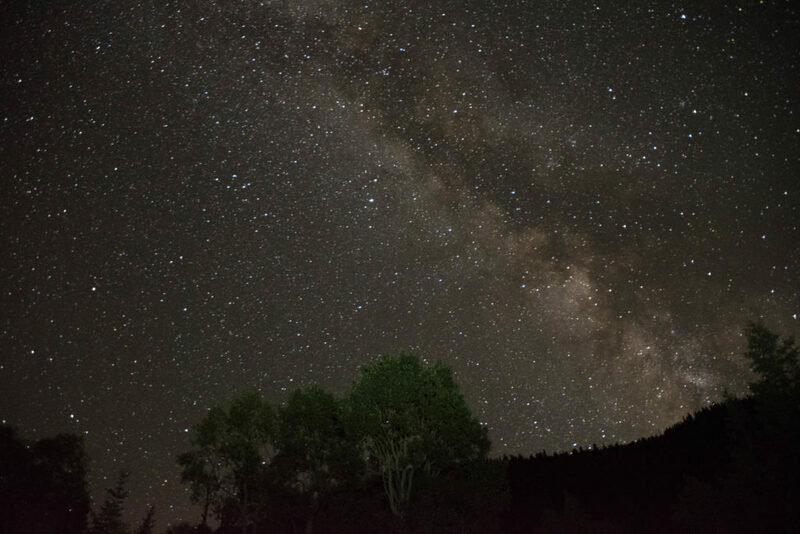 In addition to its night astronomy programs, Great Basin sometimes offers moonlight hikes and the Star Train, which originates in Ely, Nevada, in conjunction with Nevada Northern Railway, which completed its last ride of the year Sept. 4. Sitting 62 miles from Ely, the closest major city, Baker, Nevada, is not a typical national park gateway community. It doesn’t have scores of restaurants, accommodations and souvenir shops. Visitors won’t find any “tourist traps” in this remote town. With a population of only 65 permanent residents, it only has a few restaurants (none of them chains) and six small motels. 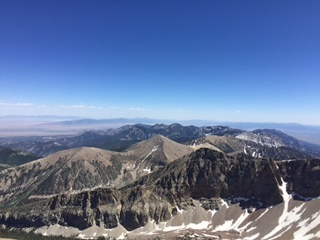 Most visitors who stay more than a day camp while at Great Basin, Andler said. 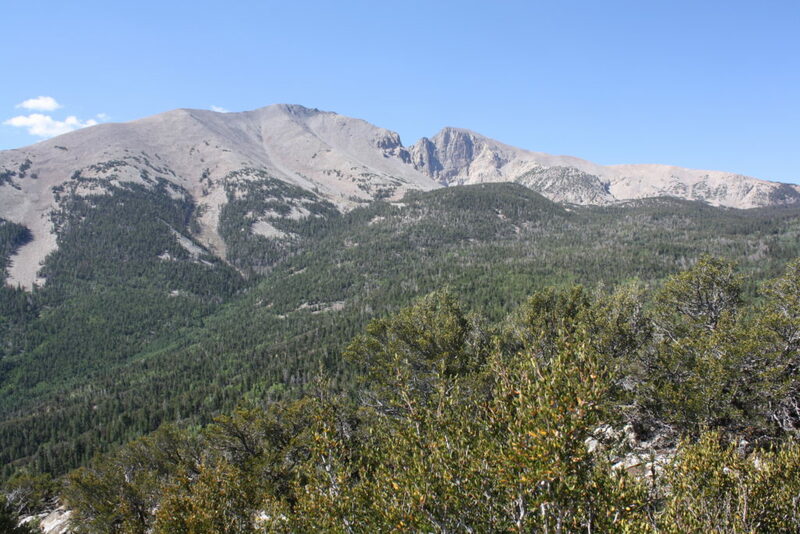 That might be due to its remoteness and lack of motel accommodations and because the park boasts four campgrounds in its most highly visited area, including Baker Creek, Lower Lehman Creek, Upper Lehman Creek (closed in 2016 for upgrades) and Wheeler Peak. Directions from St. George: Take I-15 northbound to exit 62 (Cedar City), then take SR-130 north to Milford. Turn left in Milford onto SR-21 and follow it to Baker. | Three hours drive time.